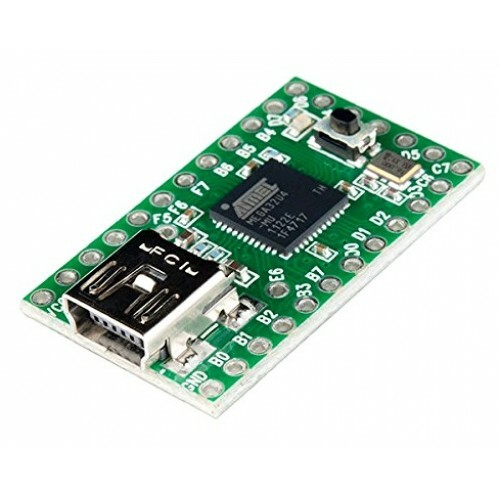 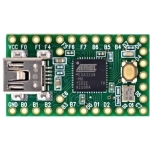 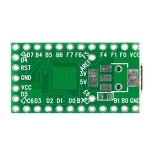 The Teensy USB Development Board is a complete USB-based microcontoller development system based on the Arduino compatible ATmega32U4 chip. 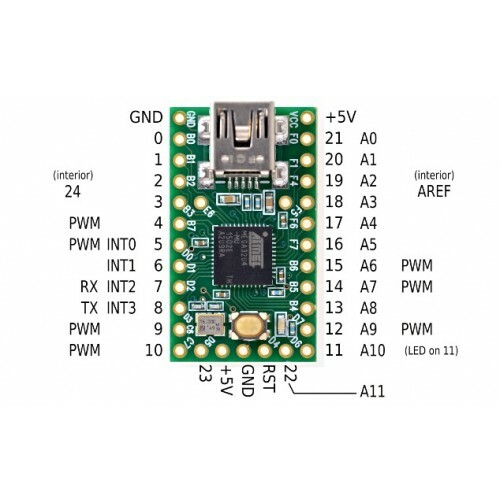 The Teensy comes pre-flashed with a bootloader so you can program it using the on-board Mini-B USB connection: No external programmer needed! 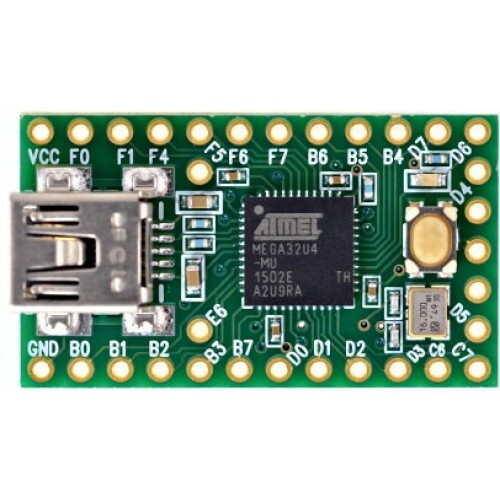 You can program the Teensy in your favourite IDE using C or you can use the Arduino IDE and write Arduino sketches for Teensy!